The Society of Thoracic Surgeons (STS) has again awarded Penn State Children&apos;s Heart Group a three-star rating for congenital heart surgery – the highest designation available. The international nonprofit organization represents cardiothoracic surgeons, researchers and other health care professionals. The latest STS report is based on national data from July 2013 to June 2017, and includes 118 participating children&apos;s hospitals in the U.S. The Children&apos;s Hospital is one of 11 in the nation to receive a three-star rating for superior outcomes following pediatric heart surgery. “This accomplishment is a reflection of the hard work put forth by the many dedicated professionals on our team, which includes pediatric cardiologists, anesthesiologists, intensivists, perfusionists, physician assistants and nurses,” said Dr. Brian Clark, division chief of pediatric and congenital heart surgery. The comprehensive report is based on data about outcomes and mortality across the full spectrum of congenital heart operations. It accounts for differences in patient characteristics and the complexity of cases in order to make a fair comparison of the centers. The latest report includes a simplified, global rating system that can be used to compare the quality of congenital heart surgery at children&apos;s hospitals across the country. Programs with risk-adjusted mortality rates that are significantly lower than expected receive a three-star rating from STS. 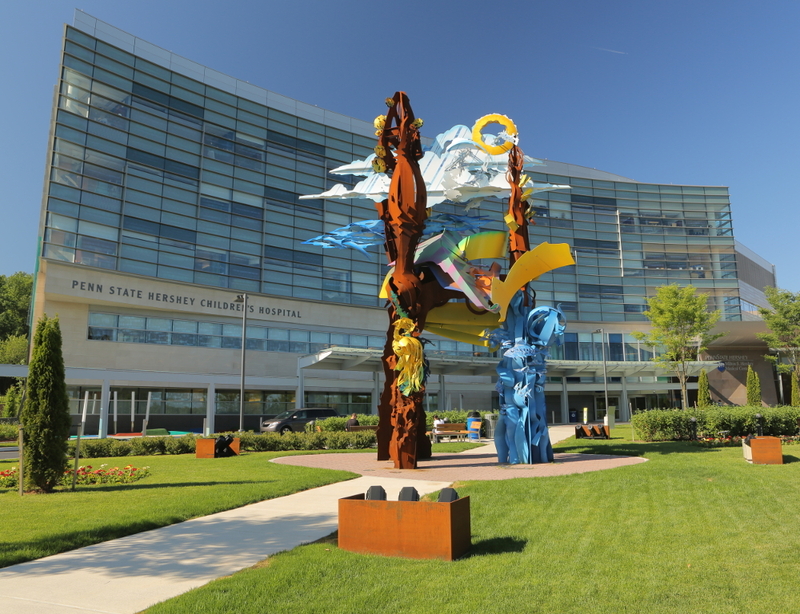 Word of the STS recognition comes as the Children&apos;s Hospital also recently earned special recognition from the American College of Surgeons (ACS) for providing excellent surgical care. The hospital is one of eight in the nation – and the only one in Pennsylvania – to be named a Level 1 Children&apos;s Surgery Center as part of the ACS&apos;s Children&apos;s Surgery Verification Program.